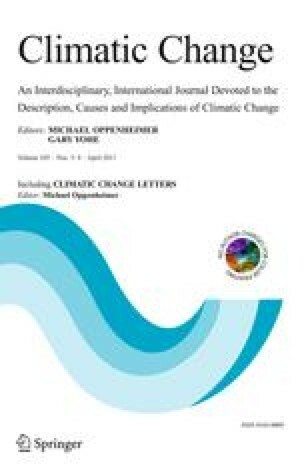 Implications of recent sea level rise science for low-elevation areas in coastal cities of the conterminous U.S.A. Recently published work estimates that global sea level rise (SLR) approaching or exceeding 1 m by 2100 is plausible, thus significantly updating projections by the Fourth Assessment of the Intergovernmental Panel on Climate Change. Furthermore, global greenhouse gas (GHG) emissions over the 21st century will not only influence SLR in the next ∼90 years, but will also commit Earth to several meters of additional SLR over subsequent centuries. In this context of worsening prospects for substantial SLR, we apply a new geospatial dataset to calculate low-elevation areas in coastal cities of the conterminous U.S.A. potentially impacted by SLR in this and following centuries. In total, 20 municipalities with populations greater than 300,000 and 160 municipalities with populations between 50,000 and 300,000 have land area with elevations at or below 6 m and connectivity to the sea, as based on the 1 arc-second National Elevation Dataset. On average, approximately 9% of the area in these coastal municipalities lies at or below 1 m. This figure rises to 36% when considering area at or below 6 m. Areal percentages of municipalities with elevations at or below 1–6 m are greater than the national average along the Gulf and southern Atlantic coasts. In contrast to the national and international dimensions of and associated efforts to curb GHG emissions, our comparison of low-elevation areas in coastal cities of the conterminous U.S.A. clearly shows that SLR will potentially have very local, and disproportionate, impacts. Electronic supplementary material The online version of this article (doi: 10.1007/s10584-011-0024-x) contains supplementary material, which is available to authorized users.